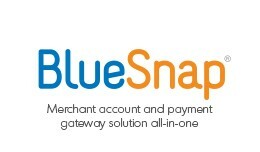 Introduction BlueSnap offers a merchant account and payment gateway solution all-in-one. We process your credit and debit card transactions with secure and frictionless checkout for your global shoppers. 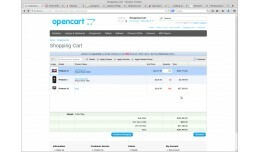 Our OpenCart payment gateway brings an e.. 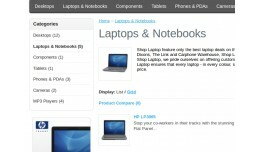 The default opencart behaviour is to display active categories which have no products configured against them. This is not user-friendly at all because it means that users will constantly navigate to empty categories. It is possible using defaul.. 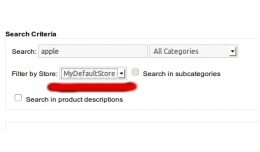 The default opencart behaviour is to limit a store's search function to search for products only in the current store's product catalogue. 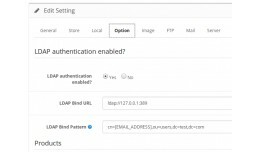 This new plugin extends the default search functionality, allowing customers to perform searches from ..
What does it do: This plugin extends opencart to allow for integration with any LDAP-compliant authentication server, such as OpenLDAP and Microsoft ActiveDirectory, for authentication purposes. It provides settings on the default store's ad.. Customer Login With LDAP (Microsoft ActiveDirect.. 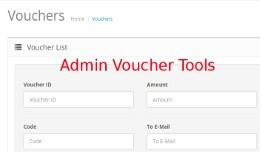 This plugin is very useful for OpenCart installations that deal with many vouchers. 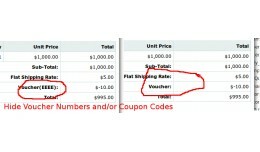 In addition to adding filtering capabilities, it also adds a column to display the balance left on a given voucher and also keeps track of who was emailed the v.. 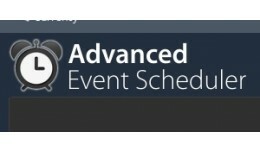 This is one of the most advanced event scheduler available for Opencart. 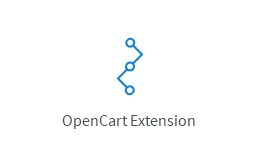 It leverages all that makes Opencart such a fantastic platform to deliver a truly ground-breaking and feature-complete extension. The design philosophy which underpins the .. Currently opencart does not have a facility for CC/BCCing of emails that are sent. This addon now adds the ability to configure a CC and/or BCC on the default store which is then used to copy other people whenever emails are sent by the sys.. The default OpenCart functionality has support for maintenance mode, but unfortunately this setting applies to both the default store as well as all sub-stores. This VQMOD plugin now gives you more fine-grained control over which sub-stores .. 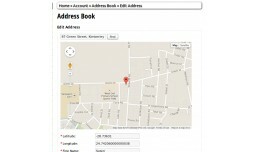 This mod integrates with Google Maps and provides geocoding functionality. This mod ENSURES that your customers provide the most ACCURAGE addresses in their address books, thereby ensuring that the logistics process of delivering ordered pro.. The opencart admin allows you to update a customer's password, by firstly editing the customer and only then presenting you with a pair of password/confirm text boxes. 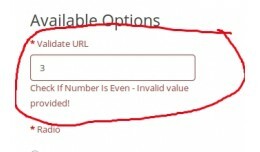 When the changes are saved, the customer is not notified of the new password ..
============================================================================================================================= URL Validator-based Option [VQMOD] ==================================================================..
What does it do: The default opencart functionality displays coupon codes and voucher numbers on the following screens View/Print Invoices Checkout screen (last step) This VQMOD plugin now gives you more fine-grained control over wheth..
What it does This mod allows you to now specify a window target when a user clicks on a banner link. You can choose from the following targets: _self - the same window (Default) _blank - open up the link in a new window _top - assumi..
What it does Do you run multiple stores off of a single opencart installation, or even manage multiple opencart installations? Then this extension is for you. 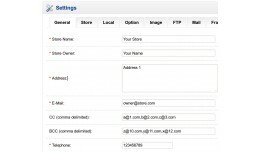 Opencart's default contact form does not include the domain name from which the c..
Quick Ordering - Enhanced Grid-Based Checkout [VQMOD] Version 1.0.0.0 Supported OpenCart Versions: This plugin supports all version of opencart version 1.5.x (which is available at the demo site below). Note: A port of this plugin to op..
============================================================= Admin Homepage Performance Analyser [VQMOD] ============================================================= Version 1.0.0.0 Supported OpenCart Versions: ==========.. 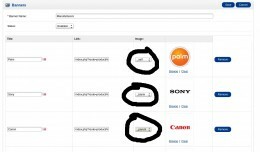 This extension adds Pivot Table visualisation to opencart for all sales that have been processed for a given store. The pivot table is based on the excellent pivottable jquery library. Just as with Excel, the user has full control over how they ..